Pembroke features long sandy beaches and impressive coastal scenery. This historic valley settlement features a quaint Main Street inside its original walls. 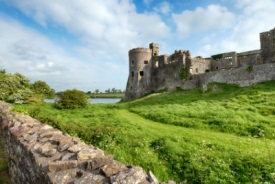 Pembroke dates back to the 11th century when the namesake was little more than a timber fortification on the banks of the Pembroke River. In 1457, it was the birthplace of Henry VII of England, also known as Henry Tudor.